Aussie Electrical and Solar is a team of 24/7 emergency electricians that provide residential electrical product installation and repair service in Melbourne. We understand how troublesome electrical outage can get; thus, we strive hard to keep our services as swift as possible, ensuring minimum hassle and maximum customer satisfaction. From every minute electrical repair to overall house wiring installation, we undertake and accomplish every job with utter professionalism. We have serviced both contemporary and traditional residential wiring system over our tenure so far, and we continue to augment our expertise by tackling challenging issues concerning residential electrical systems. There are certain aspects to residential electrical system that only a professional can handle. At Aussie Electrical and Solar, we become your trusted, go-to authority when it comes to repair, maintenance or installation related to electrical or solar appliances/devices. We take care of your electrical appliances and make sure they give off maximum efficiency and negligible downtime. We repair and install a wide range of electrical products, like cabling, TV, CCTV, data and telephone cabling, exhaust fans and ceiling fans and much more. We also assist installation, repair and maintenance of home theaters, air conditioning wiring, smoke detectors, switch boards, circuit breakers and the likes –you name it. 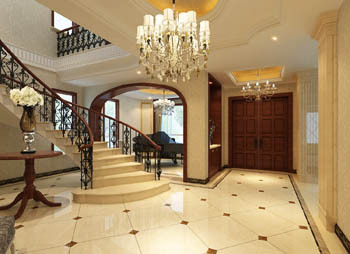 Lighting is one of the essential parts of residential premises. It plays a vital role in accentuating the interiors as well as exteriors up to a great extent. At Aussie Electrical and Solar, we have a team of lighting experts that not only engage in lighting repair and installation but also suggest suitable luminaries to complement your house interiors. Further, if you have got a garden area, we can help you light it up with waterproof lighting modules such that your garden gleams through the dark, at night, making a striking style statement. We use only quality-compliant lighting fixtures for adorning your residential spaces. If you seek benefits of technologically advanced appliances but feel apprehensive about their maintenance, repair or installation chores, then worry no more. Aussie Electrical and Solar is here to have you covered for even the most intricate installation and repair for your appliance. We are backed by vast experience and far-fetched skills plus know-how of residential electrical systems and appliances that enable us to procure results par excellence; we are driven by zeal to exceed customers’ expectations through thick and thin. On-time Assistance: Our services entail minimum response time and more convenience. We act swiftly to accomplish the given task, regardless of the location and the time your clock is showing. Competitive Price Quote: We analyze market trends and keep a discerning eye on pricing for every type of electrical job. It’s our prerogative to offer competitively priced services; thereby, ensuring repeat customers for our business. 100% Satisfaction: When you are dealing with Aussie Electrical and Solar, you are sure to get satisfactory results in regard to your electrical installation or maintenance job. Also, we take follow ups to check if the job performed by our technicians has made its way to the desired success. Give us a call at any hour of the clock for a complete, reliable assistance regarding residential electrical services! Aussie electrical and solar provides 24 hours a day, 7 days a week emergency electrical services to diagnose and repair your electrical issues fast and affordable cost– today. If you have a switchboard which is old-style, plug-in fuses, now its a good time to consider replacing it to a new, modern, safer switchboard. We can make sure that your switchboard works safely and efficiently. We can also help you with capacity upgrades so that, all your electrical supply are met. aussie electrical and solar can assist with all your ceiling and exhaust fans requirements and offer solutions that are right for your home and budget. With a variety of lighting solutions for your home or business, we can install recessed led down lights, light fixtures, LED lighting, security sensor lighting,led strip light ,chendilier and also advise on systems that will enhance the look of your home or business. We also offer a range of automated lighting solutions for added convenience and luxury. Ensure that critical areas in your home or business, like front doors, garage doors and all driveways are well lit. From landscape lighting to floodlighting AES Electricians can assist. Regular check ups of your smoke detector ,safety switch functions , circuit breakers loads and other electrical check ups for your safety. We can assist with data and telephone wiring. Whether it’s installing new Ethernet sockets,t v points ,hanging your big tv on wall or extending your telephone system or installing new telephone socket aussie electrical and solar has got you covered. Offering whole house surge protection solutions to help you protect against surge risks to your valuable appliances, equipment and data. Projector and sound system installation, feel like theater at home. Rest assured knowing that your smoke detector has been installed by a qualified electrician. We install CCTV camera in your house and business and connect you by internet so you can keep eyes on your business and house as well .